As some of you may know, I am giving a lot of presentations using PowerPoint on my Surface Pro or my Surface Book. And since I am using a Surface devices, I also added a Surface Pen to my setup. I can draw on my screen in meetings or to take notes. And the Surface Pen does to a great job inking, drawing and taking notes, especially when using Windows Ink on Windows 10. A couple of weeks ago, I was presenting on the Microsoft Tech Summit Switzerland, and I realized that my USB clicker was empty. I could not find a battery replacement that quickly before my session started. Fortunately, I remember a new functionality Microsoft added a couple of weeks or months ago to PowerPoint and the Surface Pen. Since you can pair the Surface Pen with your computer to use some cool features in Windows 10, like starting apps by clicking the back of the Surface Pen, the Microsoft Office team took advantages of that. 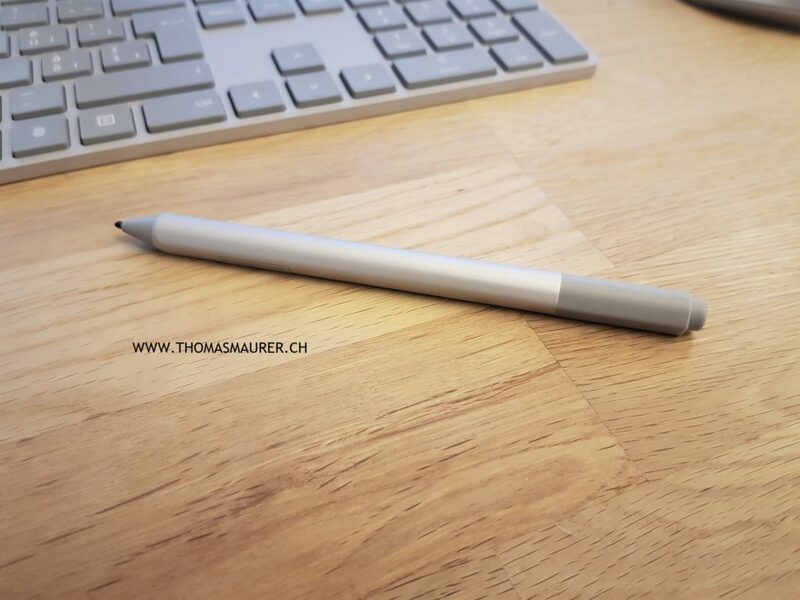 To use the Surface Pen as a PowerPoint clicker, you just need to pair it using Bluetooth. When you are running Microsoft PowerPoint in Presenter Mode, you can simply start using the Surface Pen as a PowerPoint Remote. You can use your Pen as a clicker or as a remote for PowerPoint. If you are doing a presentation and you want to jump to the next slide just press the back of your pen once. If you want to jump back to the previous PowerPoint slide, just hold the button on the back of the Pen and PowerPoint will switch to the previous slide. I know this is a pretty small feature, but it can turn out to be a very cool presentation saver! If I do this, Windows Ink Workspace opens (As shown in the Pen & Ink options)… Do you use O365 ? I’m using “normal Office 2016”. Could that perhaps be the “problem” ?